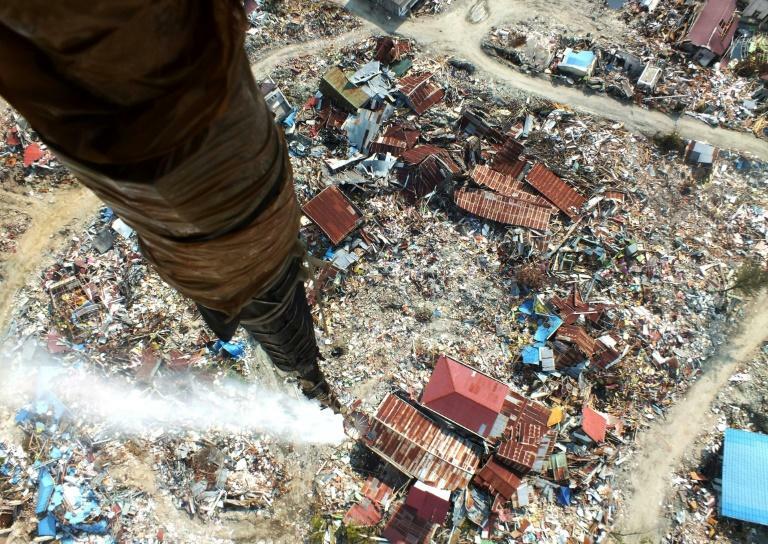 Indonesian authorities on Thursday used helicopters to drop disinfectant on parts of the earthquake-and-tsunami-ravaged city of Palu, where thousands of decomposing bodies are still buried beneath once-thriving neighbourhoods. The magnitude 7.5 quake and a subsequent tsunami razed swathes of the city on Sulawesi island on September 28. More than 2100 bodies have been recovered since the twin disasters. But there are fears that 5,000 more could be buried beneath the ruins in the neighbourhoods of Balaroa, Petobo and Jono Oge, which were swallowed by soil in a process known as liquefaction. Indonesia’s disaster mitigation agency began dousing the areas Thursday to prevent flies, cockroaches and rats spreading disease. 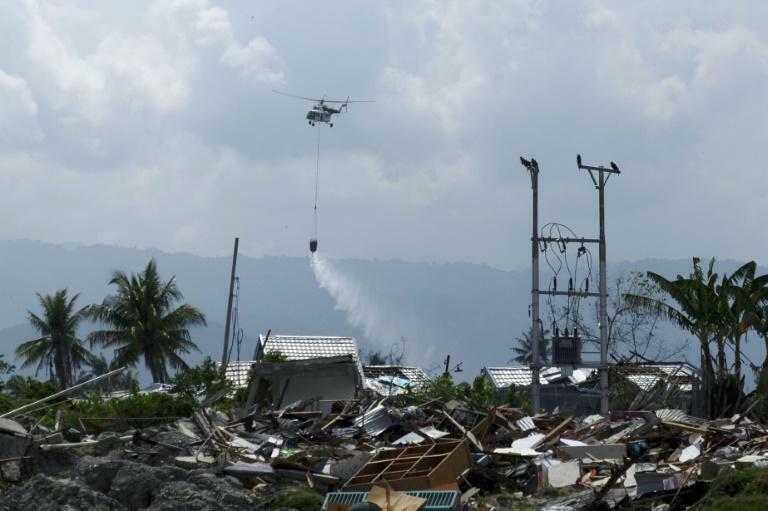 Agency spokesman Sutopo Purwo Nugroho said in a statement the drops were necessary due the "high number of fatalities believed to be buried under the rubble." Parks and monuments are eventually planned at these locations to remember the untold thousands of dead who will never be found.